This remarkably functional and beautiful home also meets two demanding design criteria. It’s a DOE-registered Net-Zero Ready home and also meets aging-in-place guidelines. 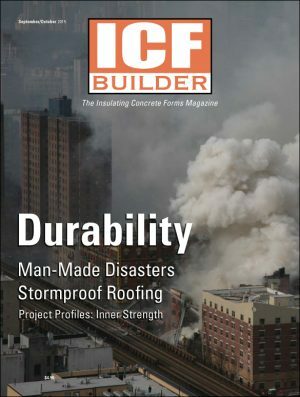 A thorough review of the options for waterproofing above- and below-grade ICFs, including spray-applied coatings, membranes, dimple sheets, and integral concrete admixtures. 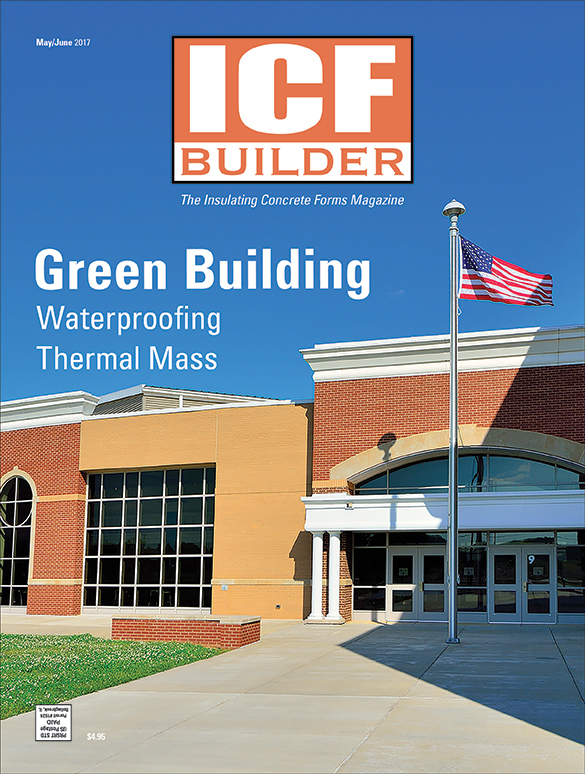 Having designed several of the nation’s most sustainable commercial buildings, Kenny Stanfield explains how ICFs’ attributes contributed to achieving maximum sustainability. 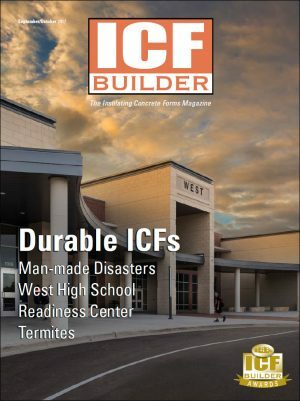 One of the nation’s largest ICF projects, this combined high school and middle school campus is also one of the nation’s most efficient. Yet it features stunning aesthetics and was built at an extremely affordable cost. Built as housing and worship space for a New York religious order, this five-story building is expected to last for centuries, and was built from the top down.